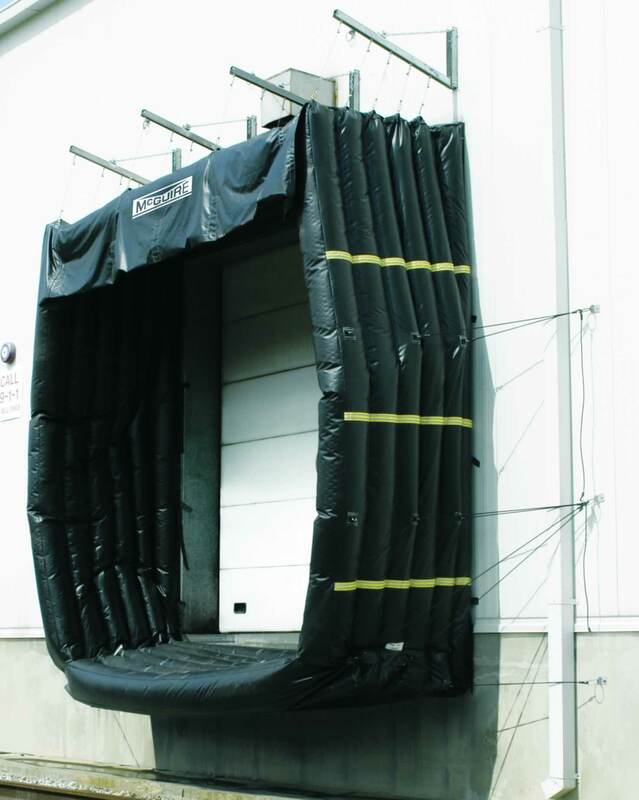 RC200 SERIES INFLATABLE RAIL | Dock Door Systems Inc. The RC 200 series inflatable rail shelter is designed to maximize the tightest possible seal between the rail car and dock door. These 3 or 4 sided inflatable shelters can be used in the same applications as the flexible frame rail shelter. It provides unimpeded access to the interior of the rail car. A uniquely designed interior baffle construction assures retention of shape. Tension cords attached to the fabric bag and strategically mounted to the wall provide automatic lift and return to the stored position. The exterior mounted air blower comes with its own hood assembly.